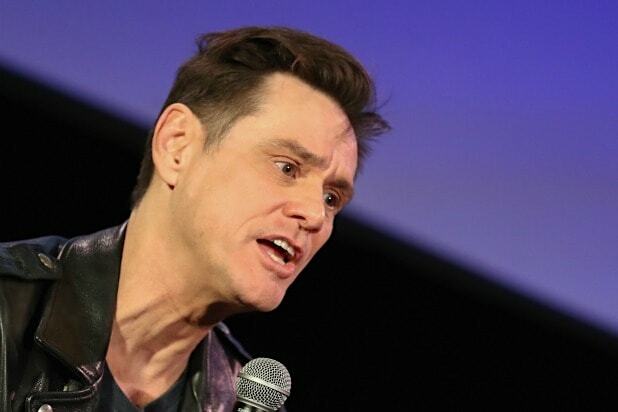 Actor-artist offers his take on encounter with Native American elder in Washington, D.C.
Jim Carrey waded into the debate over an encounter between students from Kentucky’s Covington Catholic High School and Native American elder Nathan Phillips in Washington, D.C., unveiling an artwork addressing the contentious encounter via his Twitter account on Tuesday. “Baby snakes,” Carrey wrote of the image. Passions ran high on social media Saturday after video emerged of several students from Covington, many of whom were wearing “Make America Great Again” hats, surrounding a Native American elder who was in Washington, D.C., for the Indigenous Peoples’ March. Many viewers believed the teens were attempting to taunt the elder, Nathan Phillips. On Sunday, additional video showed that Phillips had walked up to the teenagers. He said he was trying to defuse a confrontation between them and another group. One of the teens, Nick Sandmann, issued a statement saying he had not sought the confrontation and bore no ill will to Phillips. Naturally, the conversation regarding the moment carried over into the comments section of Carrey’s post. “Did his feet fall off because let’s be honest, he could have walked away,” another commenter chimed in. 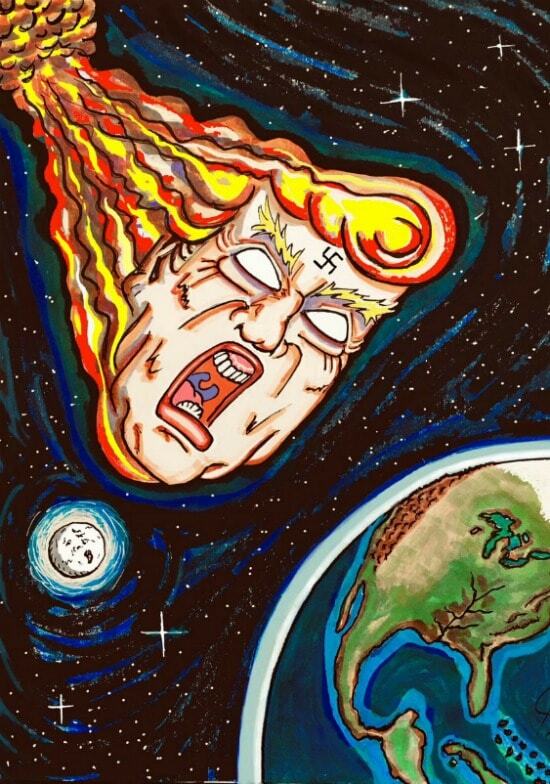 See Carrey’s latest below — and feel free to offer your own thoughts in the comments section.